The 5 things to know from the World Economic Forum on Friday morning. A busy few weeks for Procter & Gamble combined Davos week with its Q2 earnings, which were in the main positive. However, Gillette products didn’t match the overall 4% growth performance at the CPG behemoth. P&G’s global CCO Craig Buchholz told PRWeek the results came too soon to reflect its much-discussed We Believe ad, but that CEO David Taylor and chief brand officer Marc Pritchard stand by the purposeful strategy and will play the long game on it. PRWeek’s soundbites direct from the World Economic Forum 2019 concluded with interviews with HSBC’s global CCO Pierre Goad and PayPal’s SVP of corporate affairs Franz Paasche. Both in-house communications veterans underlined the incredible networking opportunities afforded by the week in the Swiss ski resort of Davos, ranging from quality time with customers, politicians, nonprofits, and media. PRWeek convened a super group of senior in-house comms professionals on Wednesday that included 27-time Davos veteran Steven Althaus from Credit Suisse. Althaus began his Davos stint as a young host and city guide. PRWeek editorial director Steve Barrett was experiencing his first Davos and ended up being impressed with the amount of real business done in the Alps, contrary to the public perception of global elites frolicking in the snow. While there has been little sign of protest at this year’s WEF, one teen activist did steal some headlines. Sixteen-year-old Swede Greta Thunberg and a team of arctic scientists braved temperatures of well below freezing to camp out and make a statement about climate change. Thunberg ended up speaking at a lunch with Bono, Christiana Figueres, Jane Goodall, Will.i.am, and Kengo Sakurada, so the cold night out was worth it in the end. 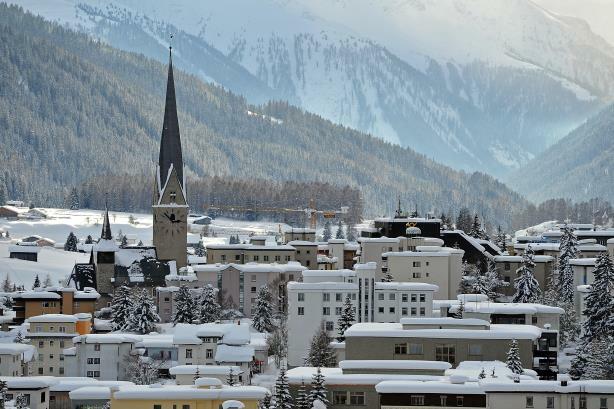 During the WEF, Davos can seem like an Epcot for Oligarchs. One of the week’s most popular attractions is a simulation of the refugee experience, where delegates are hounded into a "camp" at gunpoint. Despite its dubious premise, this is a powerful communication tool conceived by PR pro Sally Begbie two decades ago. Its impact can be felt long after the storefronts come down and the crowds have gone. Here’s Friday morning’s other need-to-know communications news. "We don’t sell people’s data": With Sheryl Sandberg at Davos, Mark Zuckerberg pens op-ed in Wall Street Journal defending Facebook’s practices. Longtime Trump adviser Roger Stone arrested and charged in Russia probe. PR and social media experts on what the Fyre Festival says about influencer marketing.